defines these eight kinds of human intelligence. Mathematical-logical and Verbal intelligence represent core intelligence. Skills related to core intelligence are emphasized by traditional schools. minimum core intelligence skills required of their profession. with careers that reward this intelligence. Careers have many levels of competition. hospital directors and floor supervisors, x-ray technicians, and physical therapists. one in which core and special intelligence requirements are reasonably satisfied. core intelligence and special intelligence requirements, can be determined. customers, but developing these interpersonal skills is important to economic success. for the enhancement of these skills may begin. world of multiple intelligence may receive little return from their education. of four-year college graduates have skill levels below median high school graduates. Here are some ideas related to Education in a World of Multiple Intelligence. 2) "How Many Smarts Do You Have?," Business Week, September 16, 1996, pages 104-108.
of The New Realities, Peter F. Drucker, Harper & Row Publishers, 1989, ISBN 0060916990. For more information on adult literacy, see Adult Literacy in America by the National Center For Education Statistics. September of 1993 ISBN 0-16-041929-8. 2) National Center for Educational Statistics. Please contact us with your thoughts and suggestions. 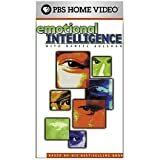 In his 1995 book Emotional Intelligence, Dr. Daniel Graham introduced the idea that some people were very good at managing their own emotions and perceiving those of others. Now an important concept of workplace psychology, it is distinct from educational achievement. It is more important than IQ in predicting success and is possessed in large amounts by top-flight leaders. I am sure Howard would call this interpersonal intelligence.